1. Combine one box of instant chocolate fudge pudding and 2 cups milk. Blend on low for 2 minutes. Let sit for 5 minutes to set. 2. 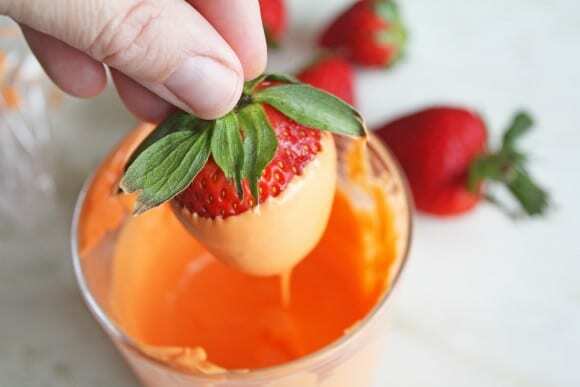 In small bowl, beat to together butter and cream cheese until smooth. Add Cool Whip and beat until smooth. 3. 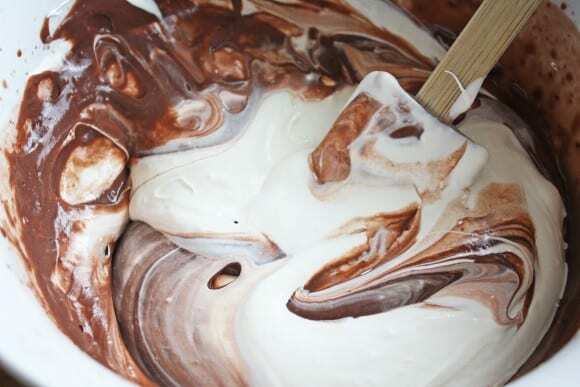 Fold cool whip mixture into the chocolate pudding mixture. Set aside. 4. 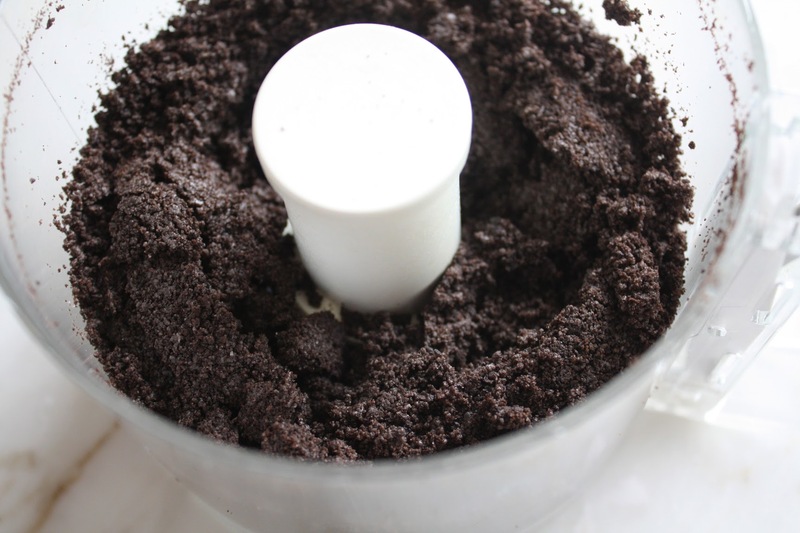 Using a food processor, grind up Oreos until they resemble crumbs. 5. 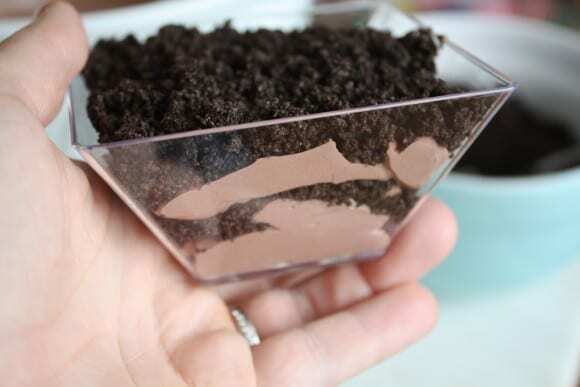 I used small dessert bowls for mini dirt pudding cups. 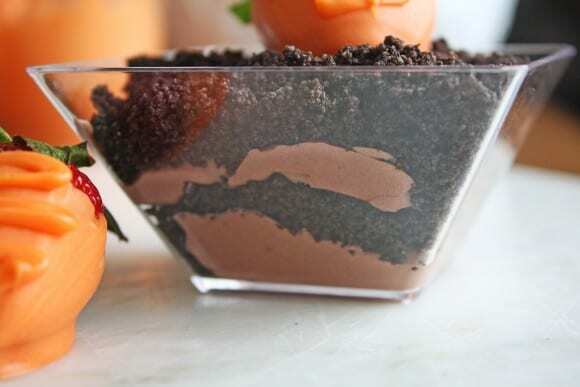 You can also use a mini or large trifle dish. Once you have chosen your bowls, layer the dessert. 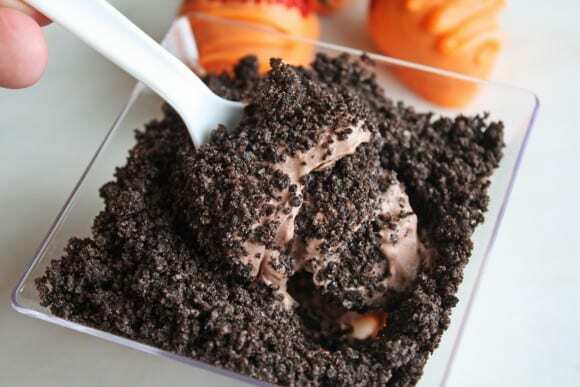 Start with pudding and then Oreo cookies. Continue layering until you dish is full. Chill for 2­4 hours before serving. 6. 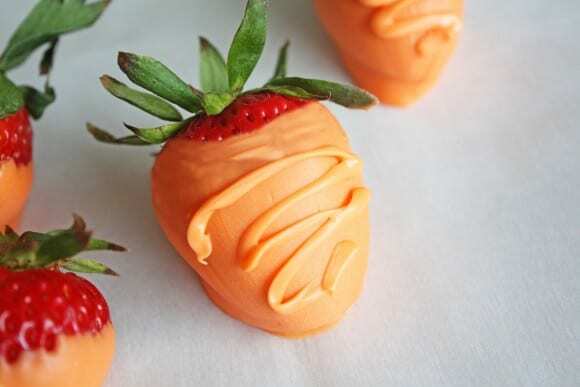 Rinse strawberries and dry completely. 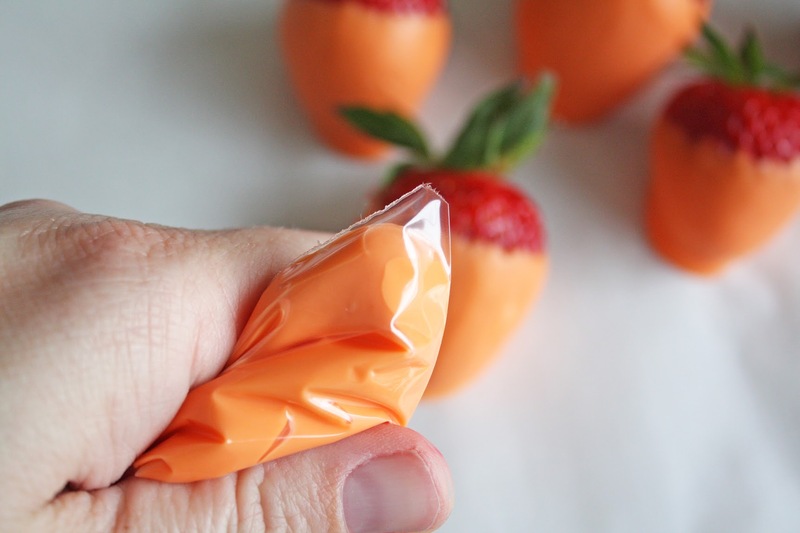 Put orange candy melts into a microwavable bowl or glass. Melt according to package instructions. 7. 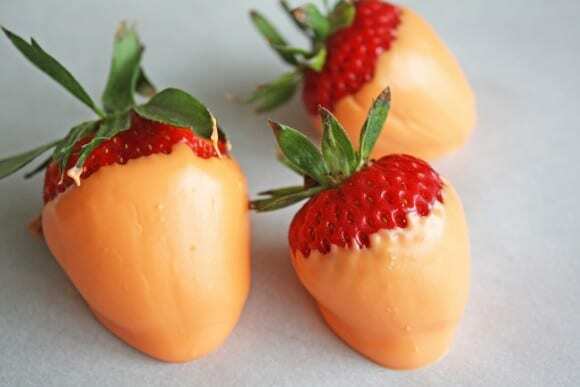 Dip each strawberry into the candy melts and place on a piece of parchment paper. 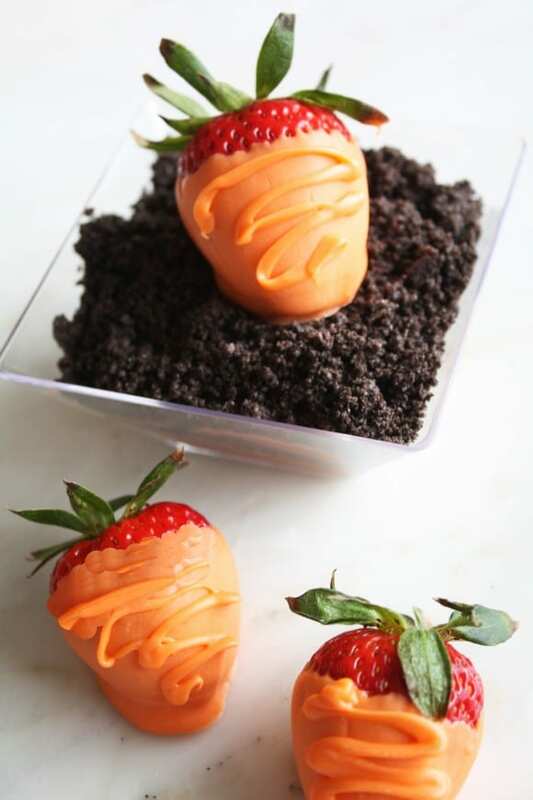 Chill all strawberries until candy coating has set. 8. Place some of the melted orange candy melts into a ziploc baggie. Cut the tip off. Use the bag to draw a zigzag pattern on the chilled berries. 9. 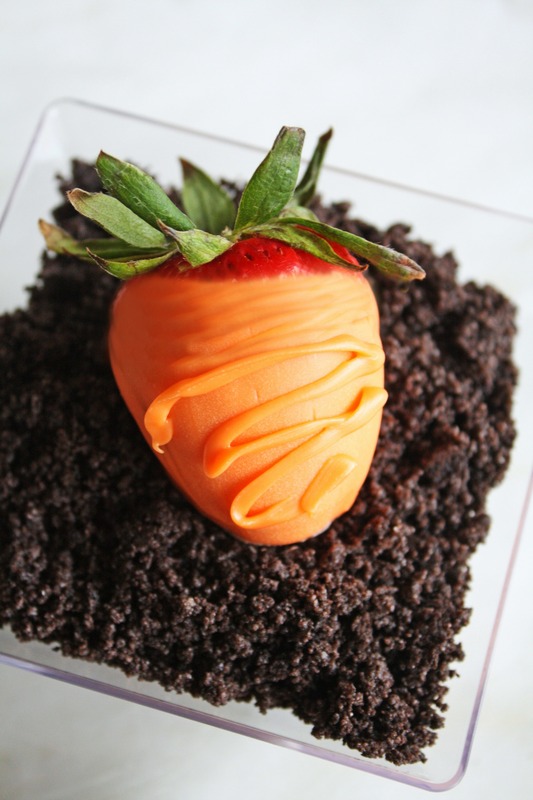 Serve your carrot patch desserts for Easter!